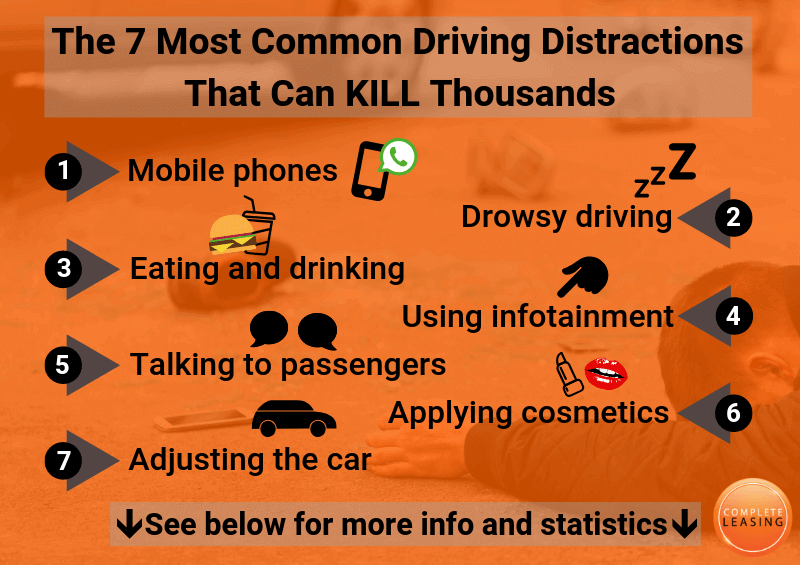 Distracted driving statistics in the UK show that 72% of drivers admit to multi-tasking while driving – that’s almost three-quarters of all drivers trying to do something that is likely to cause an accident! With the peak times for driving accidents occurring during rush hour both in the morning and the evening, and those drivers who commute to work among those who consider themselves the best at driving, it’s easy to see the correlation between overconfidence, multi-tasking, distraction and accidents. It’s illegal, everyone knows not to, and yet accidents caused by mobile phones continue to top the statistics in the UK. 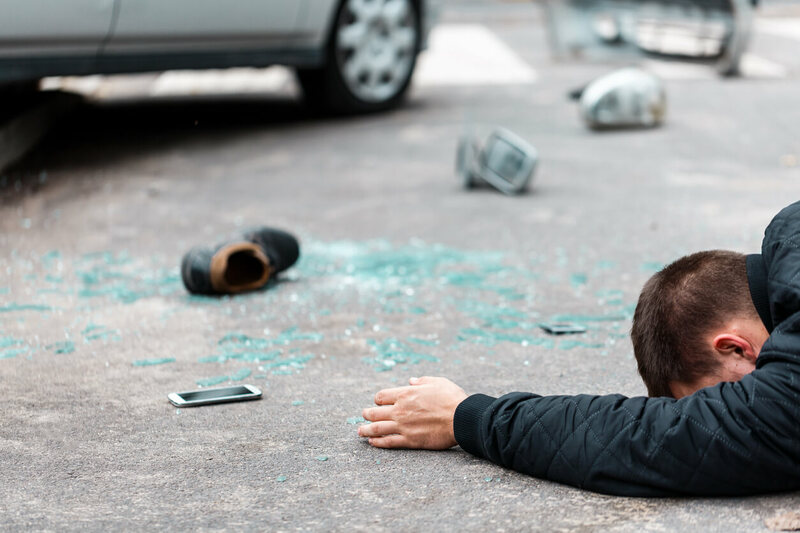 In 2017, 33 deaths were directly caused by mobile phones and driving, and thousands more accidents that luckily didn’t end in a fatality were tied to holding a phone. With hands-free AI able to do most things, including reading out text messages and writing a reply for you, there’s really no excuse, yet still, 30% of drivers admit to texting while driving! It’s six points on your license and a £200 fine if you are caught. It could be a lifetime of guilt or a completely different lifestyle altogether if the worst happens. And this is fact. If you drive while tired, it’s not only your life that’s at risk, but the lives of everyone around you. If you nod off at the wheel, you stop reacting to what’s going on around you completely. There is no reaction time, only disaster. Is it worth living a life of guilt and you (or someone else) being severely injured after a drowsy driving accident caused by you? Having a good, solid eight-hour sleep is vital for safe driving, as well as many other important things - like your health! 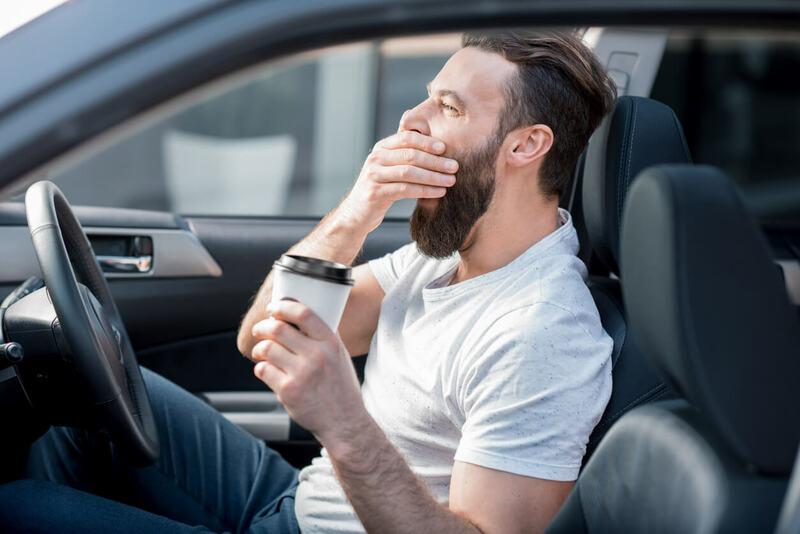 So make sure you’ve had enough sleep before you drive, or if at any point you feel drowsy while driving, pull over at the next safe spot for a break and even a nap! It really isn’t worth it. Drive-thru fast food is very convenient, and who doesn’t love the odd petrol station sandwich? But eating while you drive is one of the top distractions while driving. 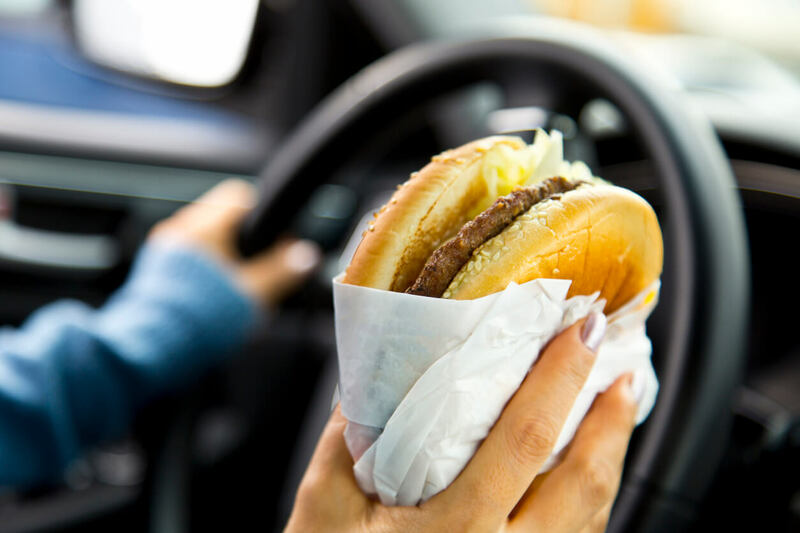 In fact, with 35% of drivers admitting to regularly scoffing food on the go, eating and drinking is the most common driver distraction. It can almost double your chances of being involved in a collision. If you are so hungry that you need to eat, pull over somewhere safe and take your time – it’s better for your digestion too! Playing with the car radio while your eyes should be on the road is another common driver fault. 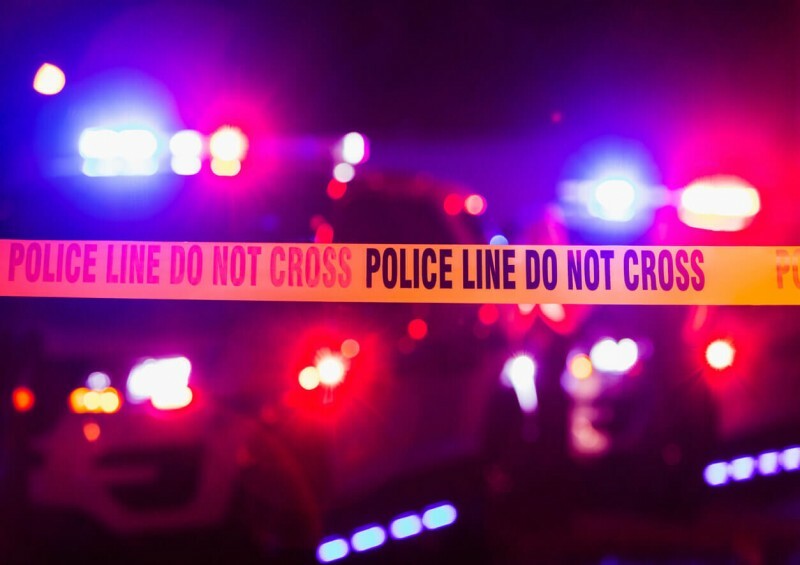 While leaning over to adjust the volume might seem perfectly innocent, anything that can distract you from driving should be avoided, and scrolling through your iTunes account to find the right song is not only illegal but can lead to a serious, devastating collision. Most vehicles today have complicated infotainment systems, and they can distract a driver for around 40 seconds at a time! This stat was recently discovered by American scientists. Alongside the sound system comes fiddling with the air conditioning and inputting information into the sat nav. They are there for your use, but not to take your focus mid-drive. For any change, wait for an appropriate and safe stop, or just make sure you’re fully prepared before you set off. *NEVER do this! Instead, try taking a break and giving them a chance to run off their energy. UK distracted driving statistics show that 5% of drivers admit to applying cosmetics while they drive. While it may be tempting to apply mascara and lipstic, or fix your hair using the handy mirrors that cars are filled with, it’s best to wait until you are at a suitable stop! Or get your face on before you drive. Making minor changes to the mirrors, seats or seatbelts may only make up 1% of reported distracted driving, but that doesn’t make it any less dangerous. Driving safety requires you to have a good view of the rear through the mirrors, but these should be set before you head off and not changed midway down a winding country lane. Adjusting your seat is particularly dangerous and should definitely wait until you stop. If your drive is uncomfortable, pull over and make it right before continuing. This is more a problem when you are not used to the car. 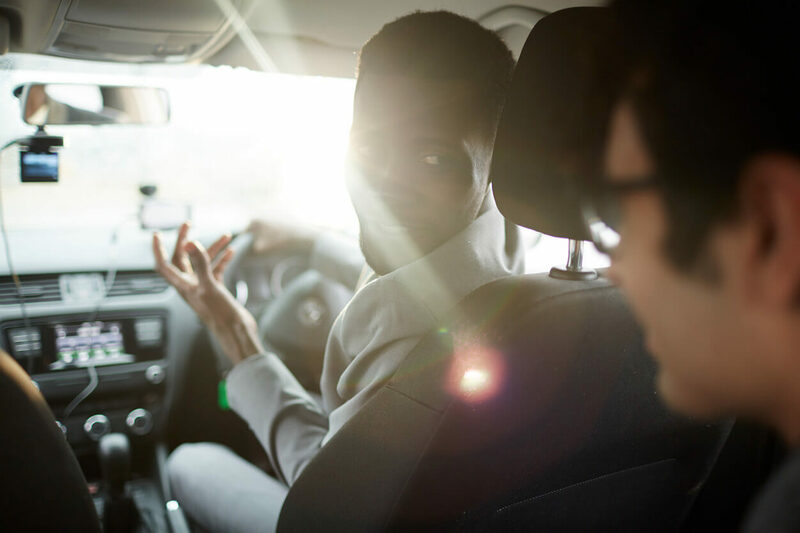 If the car is new, then take the time to get properly acquainted before setting off – after all, you don’t want a car accident with your leased vehicle just moments after getting it! Work out the playlist, know your route, set the mirrors and seating position, apply your make up, have breakfast (or lunch, or a snack), have a drink and then get into the car. It’s too easy to think of the car as just something casual that doesn’t need to be prepared for, but the opposite is true – at the end of the day, a car is a fast-moving dangerous vehicle that requires your complete concentration when you are in control of it. It shouldn’t need reinforcing but driving when you are tired is irresponsible and causes a huge number of accidents. Caffeine, loud music and the cold air blowing from a desperately open window are all no substitute for a fresh mind that’s had a good night’s sleep! Sleep is essential for any activity, so be sure to prioritise it. When you are in the car, put the act of driving first and make everything else secondary. 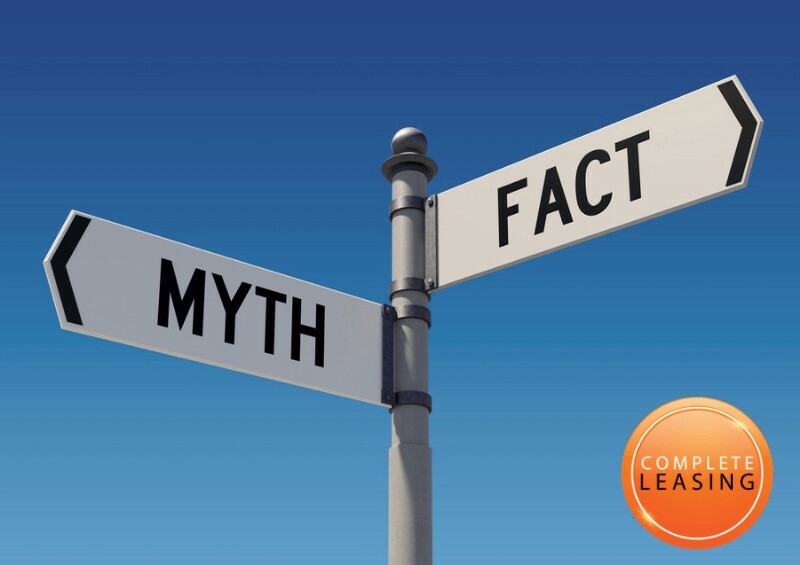 When you learned to drive, you had to concentrate on every single action – how to use the pedals, when to change gear, where to put your hands on the steering wheel, looking in the mirrors and more. Eventually, experience takes over and you’re able to just undertake the actions of driving without any real thought. Unfortunately, this leads to laziness and a lack of concentration on the drive that is its own hazard. Focus on the drive as a priority and you’ll get safely to your destination every time. One of the advantages of a leased vehicle is being able to drive a brand-new car without the outlay of the tens of thousands of pounds they’d cost to buy outright. As technology improves every year, that new car will come with more systems to aid you – stopping you from being distracted with things like hands-free Bluetooth phone integration, and helping you if you do with lane assist and adaptive cruise control. Many even have entertainment systems to keep the kids quiet in the back. 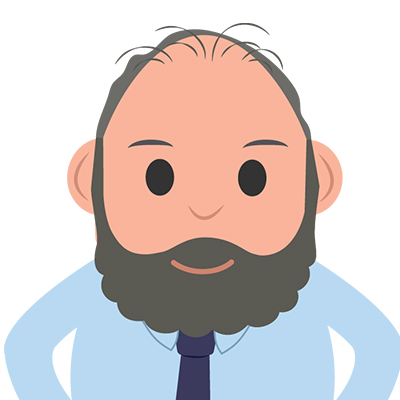 To get advice regarding the distraction-avoiding safety features of a new leased car or for info on the latest car lease deals suited for you, give us a call at Complete Leasing – we’ll be more than happy to help! If you've unfortunately been involved in an accident with your leased vehicle, read our useful guide What to Do If Your Leased Car is Involved in an Accident.